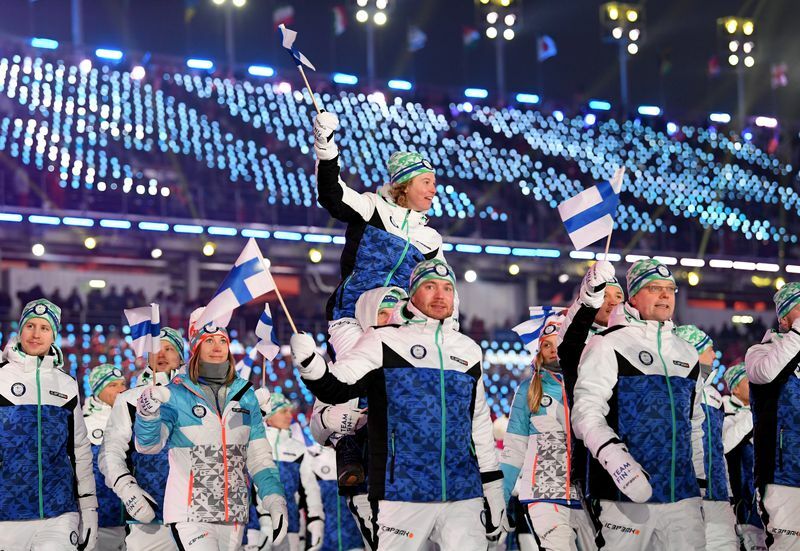 Finnish athletes during opening ceremony. Nigerian athletes during opening ceremony. I write, “at least,” since I discovered this past week that our visitor from Cambodia, Samnang, has never seen the Olympics in her 28 year of life. This young lady, who was our guide in 2015 on a trip to Vietnam and Cambodia, is spending two weeks with my family. As the Ceremony started she sat in wide-eyed amazement before our large screen tv watching the Opening Ceremony in HD. The tv and HD were themselves amazing experiences just a few days ago along with our microwave. As Samnang, repeated, “it is beautiful, happy and touches the heart.” Most of the time, however, it was Oooohhhh!!! Aaaahh! Ooooh! Etc. If you missed the Olympic Opening Ceremony, you can go to it here. If you did watch but were not touched, you might check to see if you have a heart. If you started watching but got bored, you might check here to see if you have Attention Deficit Disorder. From the opening moments with the single ring of the Bell of Sangwonsa, whose sound is said to have the power to calm the waves and bring peace, to the lighting of the Olympic Flame, your heart and hope for humanity can be deeply inspired. Let the Games begin!